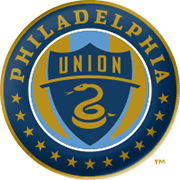 Talen Energy Stadium will host Sunday’s football game between Philadelphia Union and Dallas, the two teams who have been in a fine form of late. Philadelphia head into the match following back-to-back wins over Columbus Crew and Cincinnati and they surely want to give fans yet another reason for celebration. The U are eyeing their third consecutive clean sheet in the 2019 season and we predict that they are going to rely on their rock-solid defence against Dallas. The Toros, on the other hand, outplayed the likes of Colorado Rapids and Real Salt Lake in previous two league fixtures and it has to be noted that they scored six goals in total in those games. A man to watch in the away team will be Paxton Pomykal, who scored a brace against Real Salt Lake and we predict that he is going to pose a big threat for the opposition defenders. However, seeing that Philadelphia are a real force to be reckoned with at home, we are tempted to put our money on the U.
Marco Fabian is a 26-year-old midfielder who plays for German Bundesliga side Eintracht Frankfurt. This attacking midfielder has started his youth career at Guadalajara before making his senior professional debut with the Mexican club in 2007. Over eight seasons with them, Fabian became a regular and scored more than 50 goals for them. He moved to Eintracht Frankfurt in late 2015. Fabian represented Mexico across various youth levels before finally graduating to the senior team. He earned his first senior cap in 2012 and played his first major tournament with the senior team at the 2013 Gold Cup. He was one of the revelations for Mexico in that tournament with three goals and equal number of assists. 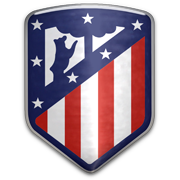 Fabian has 25 national caps to his name and six goals to his credit so far. Often regarded for his pace and great long range shots, Fabian has a 2014 FIFA Puskas Award nomination to his credit. Despite making it to the 2010 MLS Cup final, Dallas eventually failed to win the domestic trophy. The Toros (Bulls) were beaten by Colorado in the final played at BMO Field in Toronto and you should bear in mind that the Rapids scored the winner in the extra time. That was the first and only time Dallas participated in the MLS Cup final, but in 2016 the club won the Supporters’ Shield and the Lamar Hunt US Open Cup. The Toros play their home games at Toyota Stadium, the venue that was opened in August, 2005. The stadium’s original name was Pizza Hut Park, but in September 2013 it was renamed as Toyota Stadium after Pizza Hut Park left as a main sponsor. 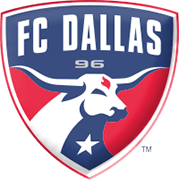 FC Dallas wear red shits with white stripes when playing at home, while their secondary colors are white and blue. Former Ajax and River Plate ace Mauro Rosales, who joined the Toyota Stadium outfit in 2016, is regarded as one of the club most significant stars.